When you live in an area that is flowing with beautiful waterways through gorgeous bluff lands, one would think there would be some kind of paddling event - or at least a gathering of like minded individuals to fully utilize the beautiful Driftless area waterways. That's what brought together Ben, Jacob (thanks to his daughter selling girl scout cookies) and Jamie. The three of us shared a desire to organize and facilitate a community event to get paddles of all skill levels out on the water in a fun and safe setting. The PAPI was born. After a few months of breakfast meetings, morning paddles scouting locations and countless cups of Kickapoo coffee, we finally had the nuts and bolts of the PAPI ironed out. With a launch off 22 boats (One of which being a 12 person Voyager) off of Historic Pettibone Beach, the first annual PAPI was underway. 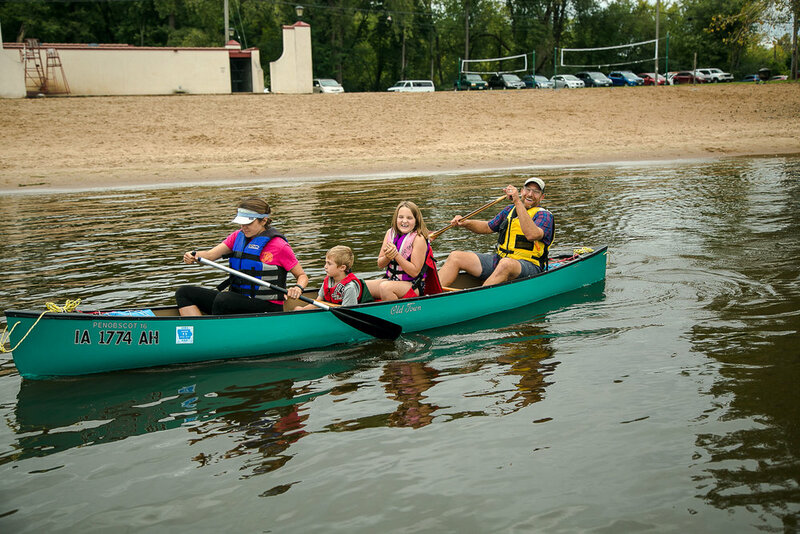 With 2 stops to recollect as a group and to enjoy some refreshments, people of all ages were able to complete the 4.1 mile paddle which included a "Huff and Puff" section up the west channel of the Mississippi before reconnecting to the main channel to float downstream back to the Beach. The night ended with new friends being made, old friends telling stories, and experienced paddlers giving helpful tips to those not so experienced. With the sun setting there were camp fires on the beach with grilled sweet corn, hot dogs and s'mores. We want to extend a special thanks to the family and friends that helped make year one a success! A special thanks to Turtle Stack Brewery, the City of La Crosse Parks and Recreation, and Sugar Creek. All-in-all it was a successful first PAPI and we look forward to what next year brings!